Deputy Prime Minister and Minister of Culture the Hon. 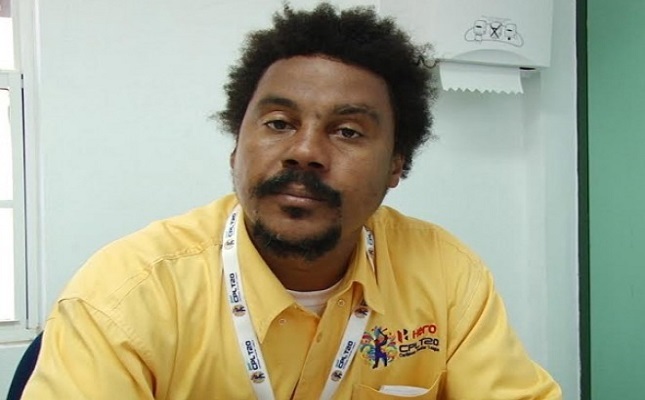 Shawn Richards has indicted that a decision is yet to be made whether Noah Mills will continue in his role as Chairman of the National Carnival Committee when his contract ends this year. The highly controversial Mills has held the post of Carnival Chairman since 2015 and according to Richards was signed to a three year deal to lead the committee. According to Richards that deal will run out later this year and the position will be reviewed when it does. “A decision be made one way or the other,” Richards said. Richards admitted that there are individual who have had their concerns with Mills, but indicated objectivity in judging his performance. “Noah has brought quite a number of ideas to carnival. He has been controversial yes with some persons, but if you are going to give the criticisms also give praise for the positives and I think that to a large part has been okay,” he said. Mills, since taking up the post as Chairman had been involved in a number of controversies including a very public dispute with some soca artiste who have since boycotted the Soca Monarch competition refusing to participate once he is still holds the position. He also has been made a topic of many Calypsonians who accused the Carnival Committee of trying to stifle their voice after they tried to implement a vetting clause in 2016 that stated that a panel appointed by the committee would review the lyrics and music of the artists. Richards also noted he now has a greater appreciation for the hard work put on by the carnival committee since taking over that ministry since 2015. As he explained,“Managing Carnival is not easy and I have real appreciation for what the Carnival Committee has to go through. Attending all of the shows from beginning to end, participating in all other carnival related activities, being there for Jouvert it takes a toll on you afterwards. He then hailed their recent efforts to put on Sugar Mas 46 that ended on January 3, but acknowledged that some improvements could be made. “I really want to commend the Carnival Committee for managing Carnival. There are times, because of circumstances beyond their control, somethings will go wrong. These things they probably need to pay more attention to and as time goes by some of them will be corrected. “There are a number of things that have been done to ensure that the experience is a better one. They are now some other things going forward we will ensure those things are given the necessary attention without compromising on those we have been able to get right,” he added. The 47th staging of National Carnival dubbed Sugar Mas is expected to be held from November 2018 to January 2019.